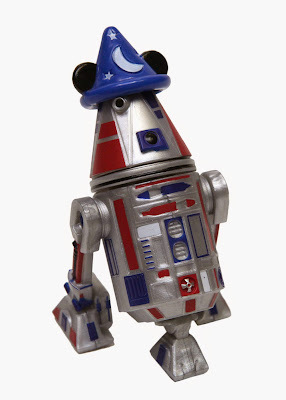 Official D23 EXPO Merchandise--Disney fans can take home a piece of the magic from this year’s Expo, with an assortment of official D23 EXPO 2015 merchandise including tees, fleece, baseball caps, novelty headwear, D-Tech, jewelry, drinkware, souvenirs, accessories, pins, and Vinylmation™. And for the first time, guests can bring home a selfie party-pack inspired by a few of our favorite Disney characters, as well as an “R4-D23” droid and Princess Kneesaa the Ewok plush. 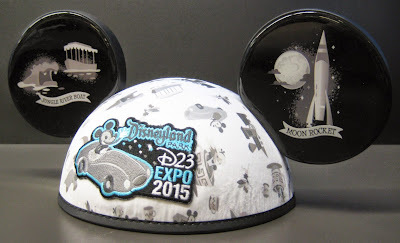 D23 EXPO Tip: Look for a specially themed Walt’s Kingdom collection. HARVEYS-- Created especially for D23 EXPO 2015, this new collection features historical “A, B and, C Ticket Media” on some of their most popular silhouettes. Dream Store Autograph Sessions--Disney fans will get the chance to meet some of their favorite authors, artists, Disney Legends, and other notable celebrities inside the Dream Store. Autograph sessions will be posted daily via the D23 EXPO Mobile App (available later this summer) and daily at the D23 EXPO Dream Store. 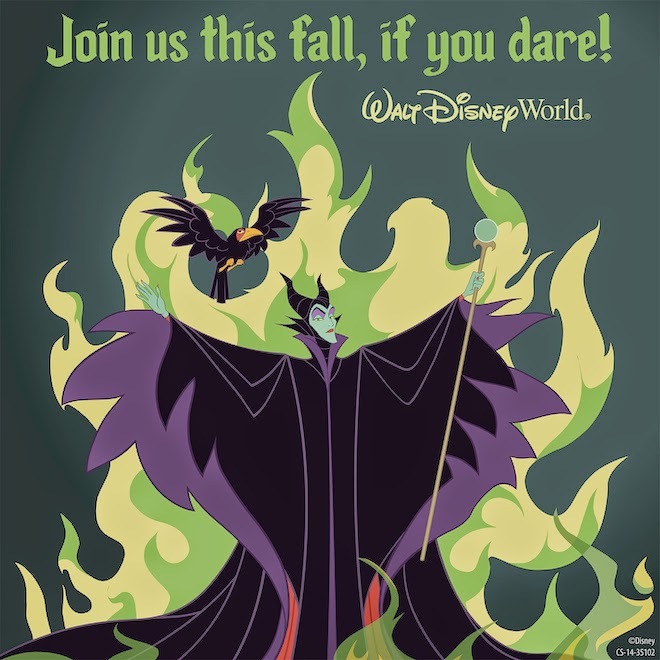 Save up to 30% when staying at a Disney World Resort hotel this fall! *The number of rooms allocated for this offer is limited. Length-of-stay requirements may apply. Savings based on the non-discounted price for the same room. Additional per-adult charges may apply if more than two adults per room at Disney Value, Moderate and Deluxe Resorts. Can’t be combined with any other discounts or promotions. Advance reservations required. Offer excludes Campsites, 3-Bedroom Villas, Disney’s Art of Animation Resort – The Little Mermaid Standard Rooms, Bay Lake Tower at Disney’s Contemporary Resort and The Villas at Disney’s Grand Floridian Resort and Spa. Theme park tickets must be used within 14 days of first use. For a price quote or to book, fill out Kristen's form! For release on July 1, 2014. -If you have ever used a Magic Band wristband at Disney, you know that feeling in your stomach when your account bill arrives; dread. Magic Band Budget app is designed to keep the fun in your Disney vacation! Magic Band Budget is the first iPhone app of its kind dedicated to help Disney guests save money while at Disney World or Disneyland. This innovative budgeting app helps you track your spending, keeps you aware and in control of your Magic Band account balance, and also includes many other helpful features for guests. Disney’s Magic Band technology is great, it offers the convenience of paying for purchases with a wristband; however spending can get out of control quickly because it’s so easy and fun to use. Track and budget your Magic Band account with Magic Band Budget app, so you know the exact total you owe at the end of your trip. You will also be able to double check you bill for accuracy, because mistakes do happen. • Keep track of spending with our easy expense tracker. Create custom categories and either enter a quick costs or detailed descriptions including dates and pictures of receipts. (cont.) • Create a personalized budget with helpful graphs to show you how much money you have left to spend. • Countdown clock with customizable text and Facebook integration to get you excited about how much time is left until your Disney trip! • Adjustable animated monorails; choose from 12 Disney World Mark VI monorail colors or 3 Disneyland Mark VII colors. • Over 45 money saving tips and tricks to use before and while you are at the park. • Helpful vacation savings tracker with goal and graph to help you keep an eye on your Disney vacation fund. Magic Band Budget works independently from your cell network so you will always have access; even when not connected to the internet. To celebrate our grand launch, we are hosting a giveaway! A $25 Disney store gift card, Disney Parks Magic Band Bandits - Set of 4 Park Charms, and a free download of Magic Band Budget App for iPhone IOS are up for grabs! For more information, head over to http://www.magicbandbudget.com/contest/. If you’d like to personally test out the app for free, please contact us for a promo code. We welcome your review and feedback. Iphone app, Magic Band Budget, will be released July 1st, 2014 and can be purchased via the iTunes store for use with iPhone and iPod touch for $2.99 https://itunes.apple.com/us/app/magic-band-budget-my-disney/id887423935?ls=1&mt=8. For more information please visit www.MagicBandBudget.com or by email at Support@MagicBandBudget.com. As part of Disney's Magic of Healthy Living initiative, Disney and Birds Eye will work together on "Disney's Magic of Healthy Living TRYathlon Road Tour" that will taking place in August and September. On Disney Channel and Disney XD there will be a sweepstakes. Disney and Birds Eye want to show kids that eating their veggies can not just be good for them but fun and delicious. Today, only 10% of kids are eating the amount of veggies they should and 17% are obese. Birds Eye wants to help increase the number of kids that are getting the proper amount of veggies and are healthy with their Step Up To The Plate campaign. Want to be part of all of this? Well, you can and here is how! Follow Birds Eye on Twitter @BirdsEye and share your ideas for fun ways to get kids to eat their veggies by using #LikeVeggies. You can even use this on your Pinterest photos. So, how do you get the coupon for free veggies? Well, Birds Eye was kind enough to send me coupons to give to my readers. Thank you Birds Eye! In order to get these coupons I'm challenging you to create a fun dish that your kids love using Birds Eye vegetables. Then, post your photos on Twitter using #LikeVeggies and #CookingwithMickeyBlog. You must be following both @BirdsEye and @CookingwMickey on Twitter. You can also post your photos on Facebook using the same hashtags. The three most creative dishes will receive the coupons for FREE veggies! Contest ends on June 30, 2014. WINNER MUST LIVE IN THE CONTINENTAL UNITED STATES. Unless otherwise noted, additional rules may apple to all contests and rules are subject to change without notice. You must be at least 18 years old to win. Winners are not eligible to win again for 60 days and can not win the same price twice. Proper identification may be required to claim prizes. Winners are responsible for gratuities and applicable state, local and federal taxes related to certain prize packages. By winning the prize you agree that your name, image and voice may be used for promotional purposes, not as an endorsement of a product or business to complete the promotion. CookingwithMickeyBlog.com will take great care in shipping the prize, however, CookingwithMickeyBlog.com and its promotional partners and sponsors are not responsible for any damages that may incur during the shipping of the prize or loss of prize.